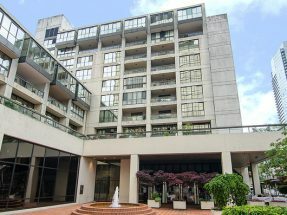 The Residences at 850 Burrard features concrete construction on 10 levels. Most units are complete with laminated wood floors, granite countertops, stainless steel appliances, spacious bedrooms, and private balconies. Take advantage of the great amenities, such as the recreation centre, exercise facility, tennis court, squash court, and beautiful courtyard. 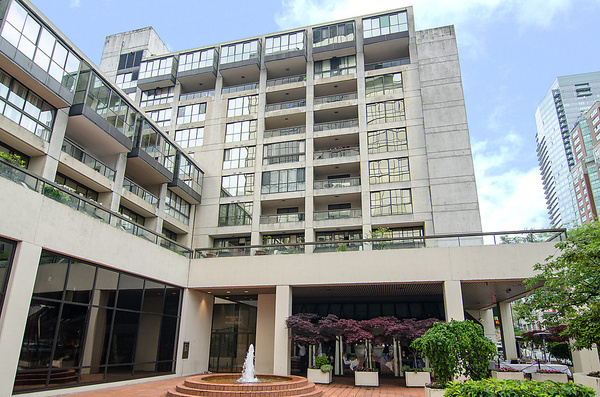 Located on the corner of Burrard and Robson, this building is just moments away from shopping, the best restaurants, and transit.